A room in a bungalow with 2 or more rooms and shared common areas. Sleeps max. 4 persons / room. 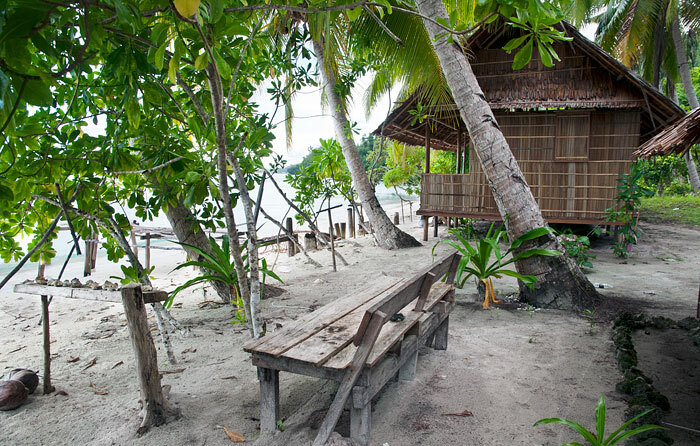 Situated at Yenanas, to the east of Yenbeser village, Maidofa Homestay offers two rooms in a beachside bungalow. Each room sleeps four in two beds with mattress covers, pillows, bolsters and mosquito nets. The bungalow’s verandah has great sea views and is equipped with a table and bench seat. 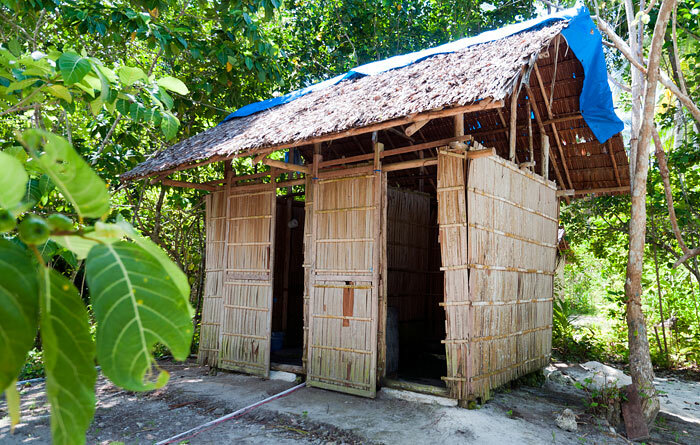 Bathroom facilities have a concrete-floored western style toilet and dip mandi bathroom in separate rooms. 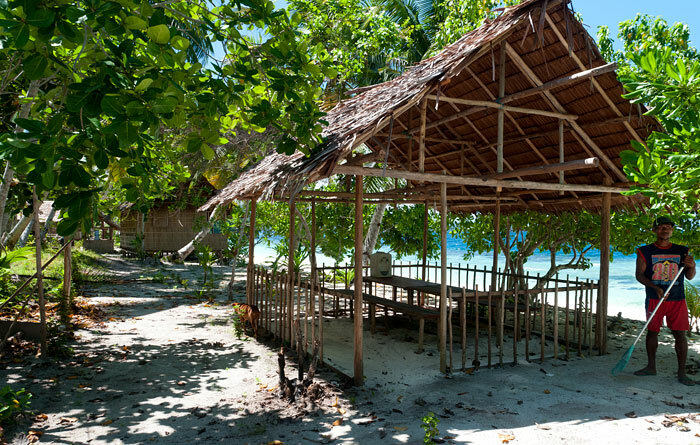 A beachside dining shelter is located next to the bungalow. There’s good cell phone reception at Maidofa and electricity is provided by a generator which runs at night. 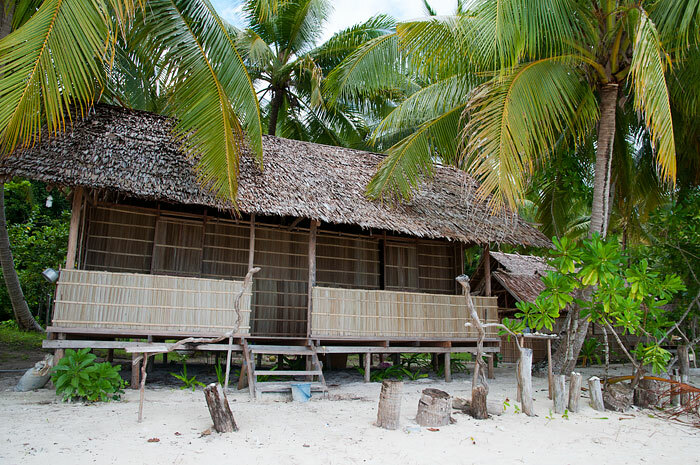 Supplies are available in the village of Yenbeser on Gam’s south coast, which is a five minute boat ride away. 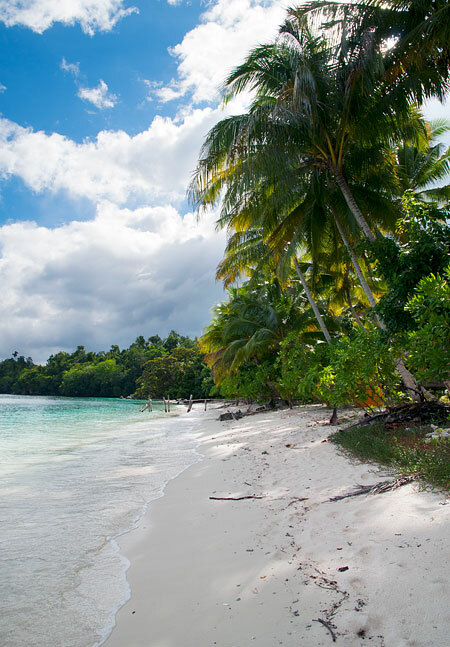 If you’re in the mood for a walk, Yenbeser can be reached at low tide via a jungle path. The walk takes around 15 minutes, and path crosses the Dore Atri lagoon, which has lots of small coral on its otherwise sandy bottom. To minimise environmental damage, always do your best to follow in the footsteps of any who may have gone before you. English is not spoken at Maidofa Homestay. Please note: Sundays are a day of rest and family obligations for the Maidofa family. No tours, boat transport or organised activities are possible on Sundays. 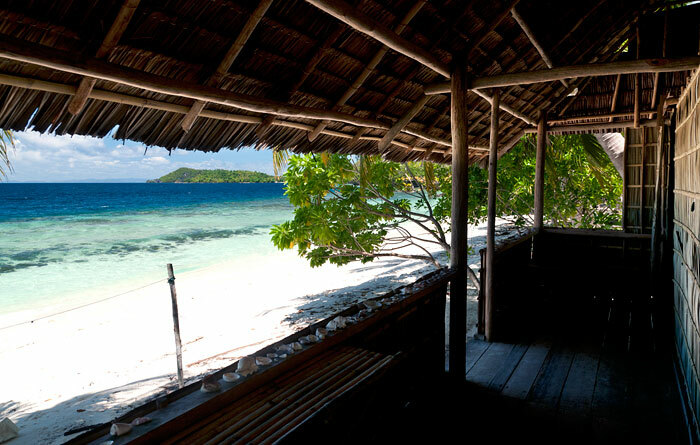 Maidofa Homestay is located on a fantastic sandy beach and has a rich coral house reef close to the shore. The beach is sheltered, safe for swimming and good for children. Evening trips to see Red Birds of Paradise display are available and cost IDR 150,000 per person. It’s a 30 minute walk from Maidofa to the birds’ display site. The jungle at Maidofa is also inhabited by a host of other birds and animals like the nocturnal cuscus which you can observe at your leisure. Snorkeling will reveal an ocean full of fish, and that icon of Raja Ampat marine life, the walking shark, can often be observed in the bay. Maidofa has three sets of snorkeling gear available which if not already hired out, can be used for free on the reef in front of the homestay. If you want to go further afield, the equipment can be hired for IDR 100,000 per day per set. A guide can accompany you if wanted – payment is by tipping as you see fit. If you need a boat, transport costs will be negotiated. 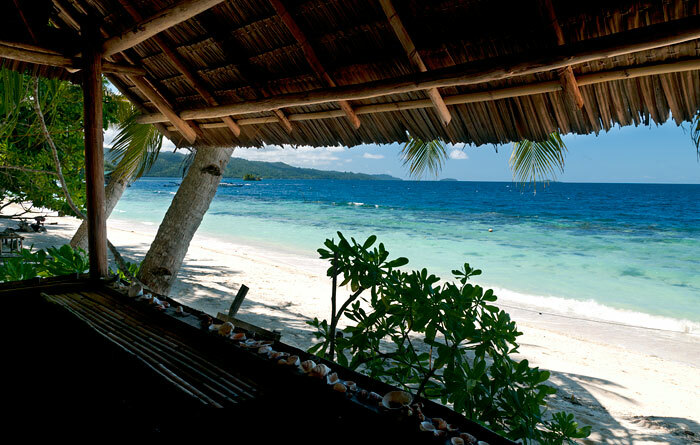 Diving is available at Maidofa Homestay by arrangement with neighbouring operators. Prices are shared among total passengers (maximum of 8). Be sure to bring your snorkeling equipment! Lovely family running Maidofa, very accommodating and the food was delicious. They took us on the boat trip around Kabui Bay which was brilliant he gave us a good look around the area and was friendly as always. room was basic but functional and mosquito net was provided. Hi Pavel, you warned us in your review to not approach Biodiversity resort for diving arrangements, I’m wondering where else can we go to arrange for diving in that area? Did you manage to find out? If you would not consider Maidofa if you could not dive from there, then contact the resort and let them know you want to dive with them, but stay at Maidofa. They will book Maidofa for you using our booking system and everything will be fine. Booking directly with Maidofa is not recommended if you want to dive while staying there. The next nearest dive center to Maidofa are the ones on Kri. You’ll find all the dive centers linked from this page. We loved this place – just 2 nights, but the family were so accommodating. Bapak picked up up from Kri in their little boat and had a cover for our luggage etc and everything which was good as it rained a little on the 30 mins over. Excellent beach and nice snorkelling off the beach with sharks etc. Rooms were ready…very basic but all you need – mattress and mossie net! They were cleaning up after a jakartan group had left rubbish everywhere…but was clean and lovely setting under the trees. We had fresh made donuts for a snack, then the family were going out fishing for our dinner so we joined them – brilliant! Obviously we were very much the amateurs, but plenty of fish for dinner! One of the boys was happy to race up the trees to grab fresh coconut anytime, and the whole family were just so friendly. 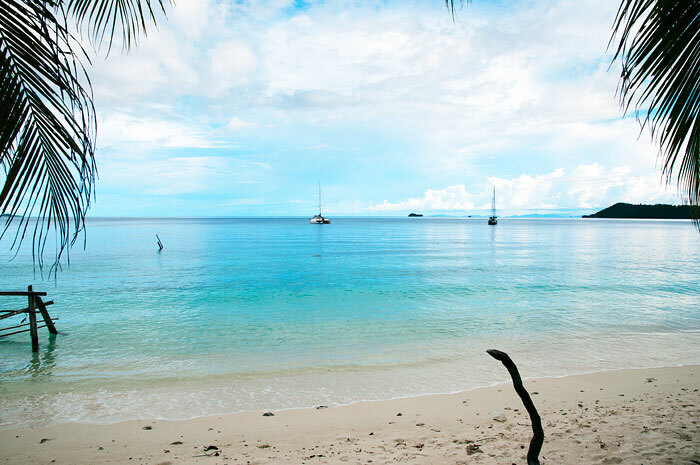 Next day we went out with the bapak on their boat and just went to the best snorkelling spots he knew, plus visited a couple of other deserted islands and a small village on another island – very interesting. He was basically happy to take us anywhere as we pointed out each amazing place we could see from the boat – and then we’d visit! Went for a littel walk in the jungle and saw cuscus and birds of paradise later in the afternoon…didn’t see any walking sharks though! He dropped us back for the main ferry too. Learn some Bahasa and this will be an awesome stay. 2 or 3 days is enough here. We have stayed in Mambetron and Monkairi in May 2016 and can at least compare these two homestays. We only give 2 stars as Monkairi was not honest when it comes to money. They tried to charge a price that was more than double the price listed on stayrajaampat.com and also compared to Mambetron. We just felt cheated. Even worse because we brought gifts for them. Unfortunately that makes all there other efforts (almost) meaningless. Because before the issue with the payment we did have the feeling the owners made the best of what they have although they do not speak any English at all. We thoroughly made up our minds before we gave the rating of 2 stars. But only a honest feedback is valuable in order to improve. We really hope that Monkairi’s family can manage to get their homestay back on track in order to host more satisfied guest and benefit from it. 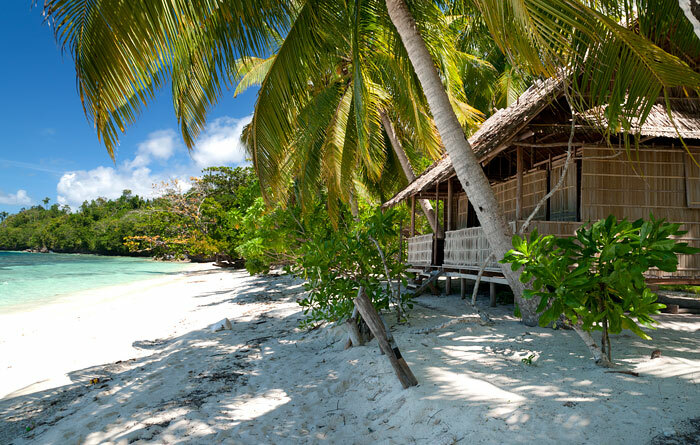 The bungalows are nicely set along the beach, nestled under palm trees. The size is good for two people. But we also managed to fit our 2 kids (4 and 5) in there. But we had to share one mattress as an extra mattress was not provided. Generally a mattress and pillows are there. A mosquito net was there but could not be used. When we arrived we had the feeling that they were not really aware that we were coming as they just then started to clean/prepare. The bungalows could use a little maintenance as the roof has holes. The bathroom is even more in need as the roof is basically one big hole. 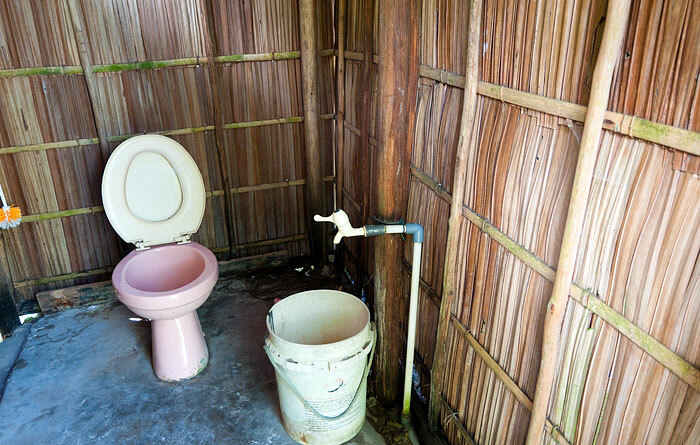 The water for the toilet was only refilled when the people of the neighboring Batu Lima did it. They put a lot of effort into providing us food. They went out to catch fishes for several hours just to provide them to us for lunch and dinner. Besides that there was always rice and noodles. For breakfast we had homemade buns. What really surprised us was the afternoon snack. We even had homemade donuts. They do not have their own boat. So they borrowed a 15hp longboat to bring us to the ferry in Waisai. This took us about 45min. The beach is just beautiful, white powdery sand and the water is crystal clear. The reef and the nearby jetty are good for snorkeling. This unfortunately is the downside, as we expected honesty. When it came to the payment they expected us to pay 700.000 IDR per adult and another 200.000 IDR per child per night. So a total of 1.800.000 IDR per night! As we wrote down on a piece of paper that we only paid 700.000 IDR for 2 adults and 2 children per night in Mambetron homestay, they immediately agreed to charge only 700.000 IDR for 2 adults per night. The 200.000 per child remained. So we ended up paying 1.100.000 IDR per night. Which we find still too expensive in comparison to the other homestays. We felt cheated, which made us leave Monkairi with very mixed feelings. * The location: possibly the best in Raja Ampat: not too far from Waisai (1h boat ride), a really nice beach, conveniently close to the really nice Raja Ampat Biodiversity dive center for diving or renting kayaks to explore the nearby mangrove, ~30min walk from a bird of paradise observation spot, and most importantly the best coral reef we’ve seen in Raja Ampat, right at your doorstep (with a few interesting residents like an epaulette shark, an octopus, and occasional visiting dolphins). So we absolutely recommend the location. First, no tours: the owner Boni and his family do not speak a word of English so communication is difficult, which in itself isn’t a problem… except for the fact that he got really upset when we arranged a day trip with the neighboring homestay (Batu Lima, with whom they share the toilets) who was a lot more easy to communicate with and seemed very knowledgeable with the area such as snorkeling spots, and who had other guests which allowed us to share the fuel costs. There was a big dispute among the 2 homestay owners and in the end we understood we could only go with our host. Not talking much with your host is one thing, but not talking much with your tour guide is a bigger concern… The ‘tours’ we did with him after this episode were pretty plain. Besides, there’s only 1 bungalow, with 2 rooms, so your chances of sharing tour costs with other guests are next to null. The second issue is that overall the quality of the service is okay, but (for the same price) clearly much lower than the neighboring place Batu Lima. The dining area is not as nice, the bungalows aren’t nicely decorated with seashells, the shower is not well maintained, electricity runs much less frequently, the food was not as good… It’s not that the service is very bad, but it’s clear that Boni really isn’t putting as much effort as Batu Lima’s owners, and by a long shot. 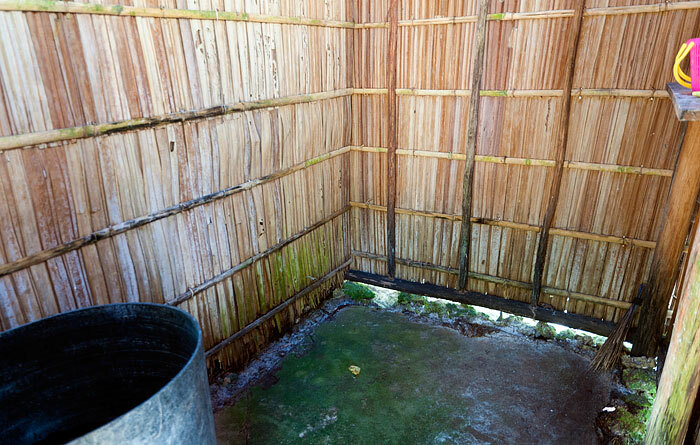 Just an example: the toilets are supposed to be shared between the 2 homestays but the day the only guests of Batu Lima had left, suddenly the water bucket stopped being refilled. In short: don’t go there, go to Batu Lima (or the other one nearby Yenanas). The only reason we didn’t move was to avoid the drama. Batu Lima is quoted here at 450,000 but if you call the owner Ones he’ll likely be ok to discount it to the usual 350,000. He speaks decent English and was really friendly. It really pains me to leave a negative review because I know there’s an entire (and really nice) family that depends on this revenue, but I really believe that in the long run it’s best for Papua’s economy to promote the places that provide the best service. We were five days with them a few weeks ago and everything was great! The place, the beach, the coral reef, the food and them! Amazing place and better people! My boyfriend and I enjoyed a lovely week long stay at Monkairi in May. Lovely family feel, absolutely amazing food, gorgeous beach and house reef. Couldn’t have asked for more. Worth every second of our 3 day trek to get there from the UK! PLEASE NOTE: The Monkairi Homestay partners have decided to form separate businesses. Pak Boni Dimara has retained the Monkairi name and the homestay buildings have been split between the former partners. Some comments below mention Pak Ones (or Onis) Makusi. Pak Ones’ business is now called Batu Lima Homestay. We really enjoyed our stay at Monkairi Homestay. Ones and his family were very friendly and welcoming and certainly only helped make the stay in Raja Ampat an even greater experience. The rooms and facilities were clean and in suitable condition. A really fantastic location with a stunning reef at the front door and lush forest at the back. Ones out together a great day trip for us to some islands and snorkelling locations which were stunning and unforgettable. This is not luxury or full featured accomodation and service. But it is earnest, honest and gives a lovely impression of the Papuan people. If you need AC, hot water, a variety of food and 24hr electricity, this is not for you. But maybe giving some of those up for a few days to really open yourself up to new experiences is worth that challenge. Swam ashore here while staying at another homestay and knew I had found the right place. Peaceful, welcoming people, great food, and most of all really awesome house reef out the front for snorkelling. I’ll be back. We stayed 5 nights at Monkairi Homestay in the end of july. So we ended up at Monkairi with a bit of luck, only a few hundred meters in front of Friwen island (where we were supposed to go). 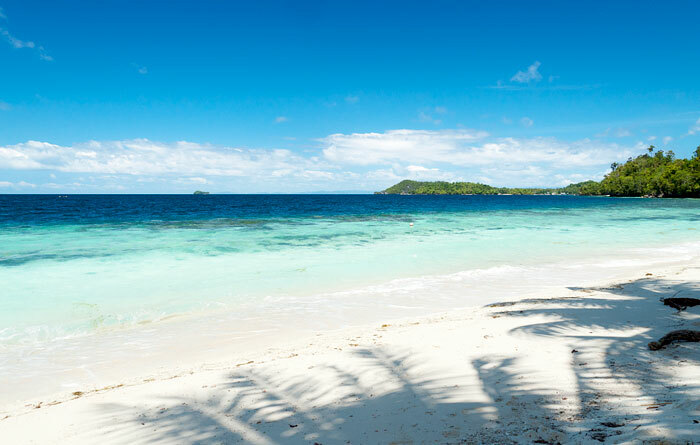 Monkairi is absolutely marvelous, a beautiful white sandy beach with an excellent housereef (I’ve never seen such healthy corals before while going to Maldives twice, Egypt, Guadalupe, Seychelles, Philippines, …). The homestay is owned by Onis and his family, living in a village 10 mins away by boat. His son Noldi talks perfectly english and proposes boat trips to any place you like. The whole family has been so kind and friendly to us ! They’re truely lovely ! The homestay has a power generator that is working at night, so you have light and can eventually charge cameras. Toilets and shower places are good. 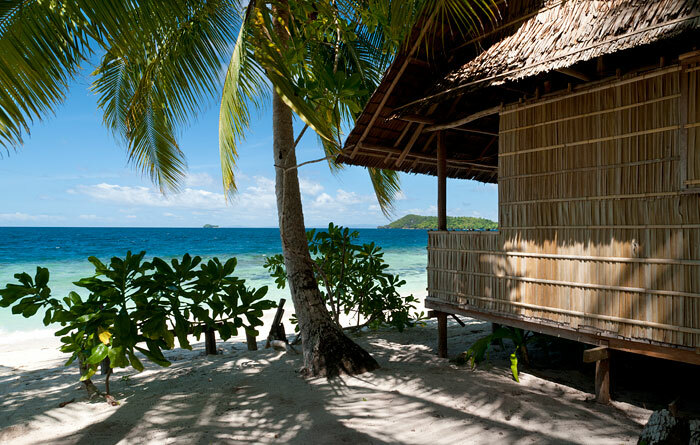 The 2 bungalows provides each 2 rooms where 2/3 peoples can sleep. They’re well builded. They provided us mattress and a mosquito nets, although there was absolutely no mosquitos during our stay. To briefly sum it up, this was probably our best holidays ever. 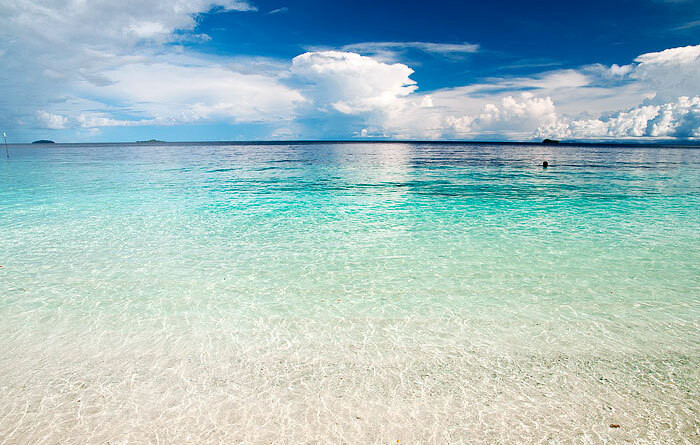 Raja Ampat is in my opinion one of the best places in the world, so quiet, beautiful and maybe one of the last where the human had no major impact yet. Paradise ! thank you for the post. Do you have any information about the price of double room / food / drink? Have you been at Wayag? Sorry, haven’t checked this page for a while. I have’nt been to Wayag, and that is almost possible I guess with the owner’s boat. Wayag is really far away. Though we went to Manta Sandy, Arborek and Kri island. I think we paid 450k IDR /person/night. -What is the typical duration of each of the tour mentioned? 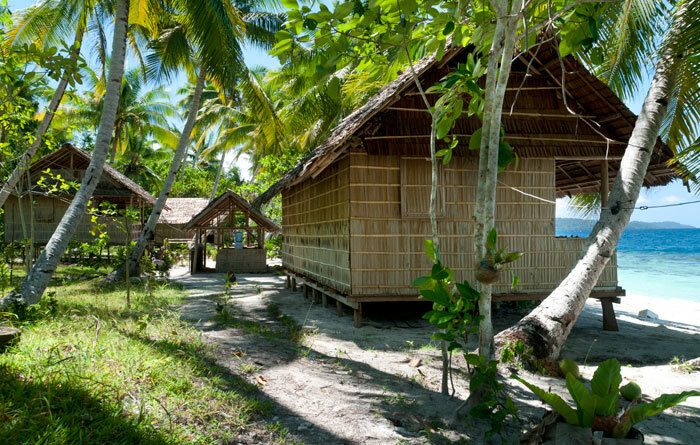 -Do we have other attractions as well in Raja ampat that we may not be able to cover by making Monkari Homestay our base location? -Is it possible to arrange for a pure vegetarian meal plan? -How are medical facilities and other such facilities available? -Tours vary from a few hours to all day excursions. 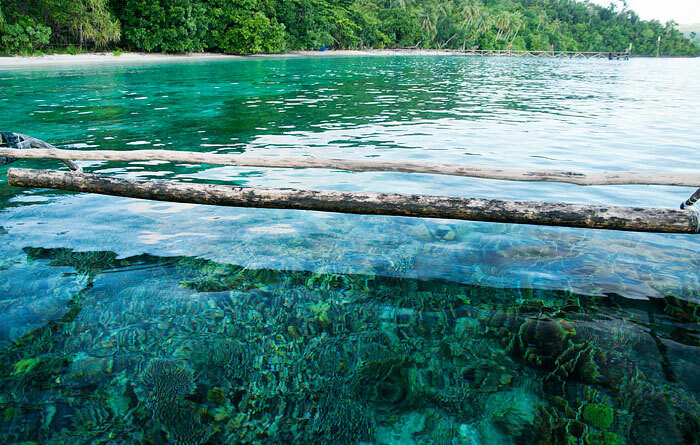 -Raja Ampat is a huge place. It’s not possible to see all its attractions in a single visit, let alone from a single homestay. -Pure vegetarian meals are available, but will be very basic indeed. 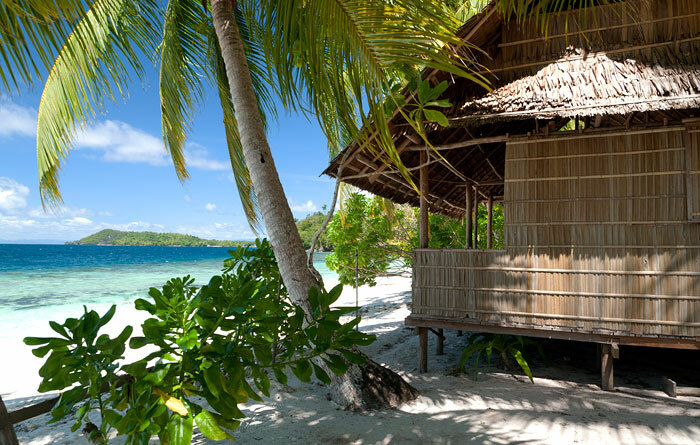 -Modern medical facilities of a high standard are unavailable in Raja Ampat. Please see our step by step guide for links to more detailed information about these and other questions. Thank you for your review. I just started my Raja Ampat search today so I do have a few questions for you. 1)How do I even get to the homestay from flights and boat? Did you make boat arrangements with the homestay owner? 2) What did you do on the other islands? 3) What was the schedule like getting back to the airport? If so, which ones? I would really appreciate the help! Thank you!